Created in 1989 by a small group of young British men and women, Frontline News Television was a pioneering international news agency for freelance video journalists that was 20 years ahead of its time. The agency closed in 2003, by which time half of its camera-people had been killed while filming around the world. 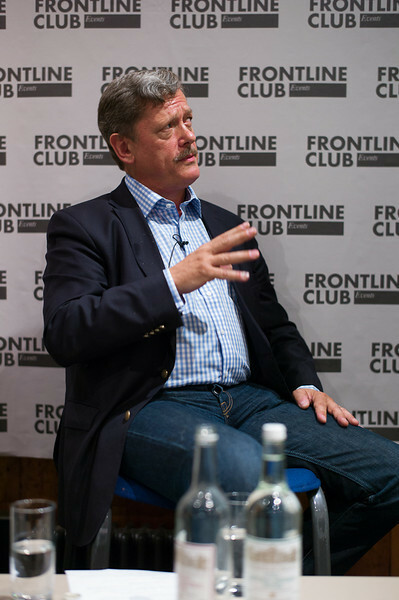 FNTV founders Peter Jouvenal and the Frontline Club's Vaughan Smith, were in conversation with BBC World Affairs Editor John Simpson.